Standing beside the line in Rossville, TN watching a Southern Railroad 2-8-0 and 2-8-2 doublehead a hotshot freight out of Chattanooga....I remember it like it was yesterday. Well, not exactly yesterday, but Tuesday. 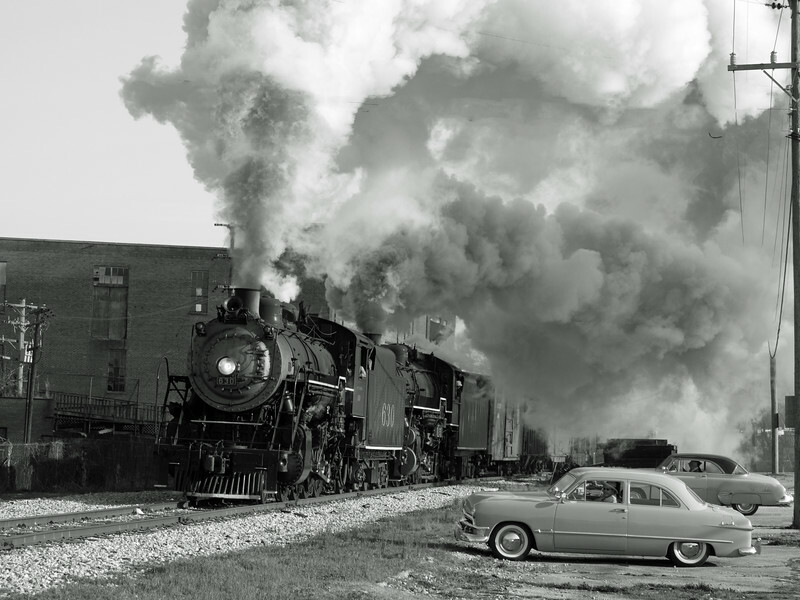 Tennessee Valley Railroad Museum #630 and #4501 are doing the honors on a photo freight organized by Pete Lerro. A few classic car owners have kindly agreed to lend their handiwork to the festivities.